This ground floor lateral apartment in central West Hampstead has got four bedrooms and a cosy rear garden. 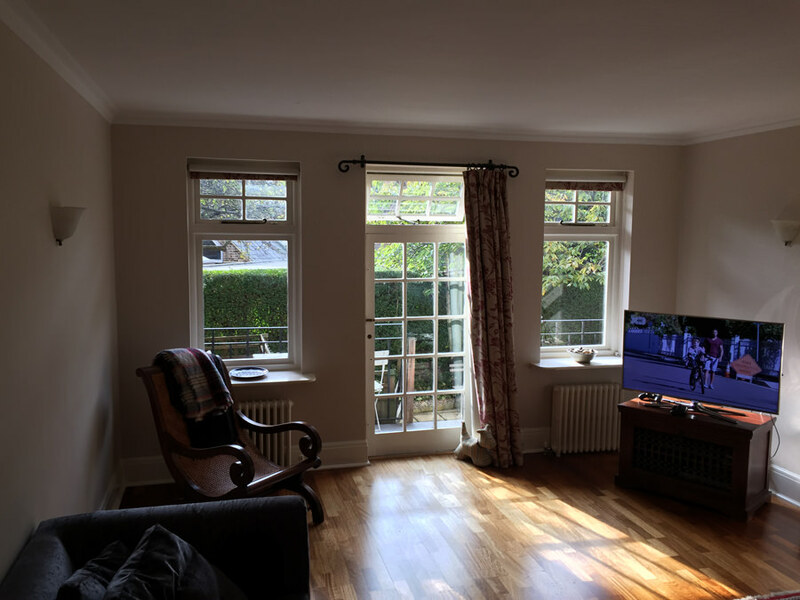 During the refurbishment, we opened up the rear part between the kitchen and living room to bring in more light into these areas. Another ensuite has been created and one of the existing two bathrooms also became an ensuite to the guest bedroom. The main theme for this apartment is following Mondrian’s favourite colours – yellow, red, green and blue. The white handleless kitchen has a bright yellow worktop against a red wall in the kitchen and dining area. The living room feature wall with the contemporary marble fire place and large book section has the green colour. The master bedroom featured a blue wall behind the headboard. Since our clients downsized from a house, several book cases were created to house their impressive collection of books. Full refurbishment of a ground floor, four bedroom garden apartment in the centre of West Hampstead.